From the New York Times bestselling coauthor of The Boy in the Suitcase, a gripping historical thriller and poignant coming-of-age story set in the nineteenth-century France. Madeleine Karno is an ambitious young women eager to shatter the confines of her provincial French town. 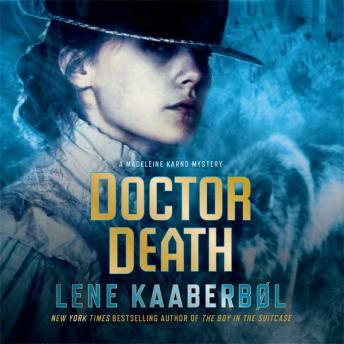 Driven and strong headed, Madeleine is set apart by her unusual occupation: assisting her father, Dr. Albert Karno, in his job as a forensic doctor. The year 1894, and a young girl is found dead on the snowy streets of Varbourg. Dr. Karno is called in to determine the cause of her death, but before he can examine the body, the girl's family forbids and autopsy for taking place. The only anomaly he manages to find is the form of a mite in her nostril. Shortly after, several other dead bodies are discovered throughout the city, and Madeleine and her father, and the city commissioner must use the new science of forensic evidence to solve the mysterious cases before they all become the next victims of a deadly disease-or of a heinous murderer. The Associated Press raved of Kaaberbol's The Boy in the Suitcase, '[The] uniquely Scandinavian sty [is] sure to draw comparisons with a certain blockbuster trilogy (this is better).' For all crime and historical fiction aficionados, Kaaberbol's latest is a book you can't afford to miss.